You read that right. Believe it or not, we’re 1 year in with WW! Good job Doug, Good job Pete… Good job everybody that seeks us out and rocks the super fun dance nights! 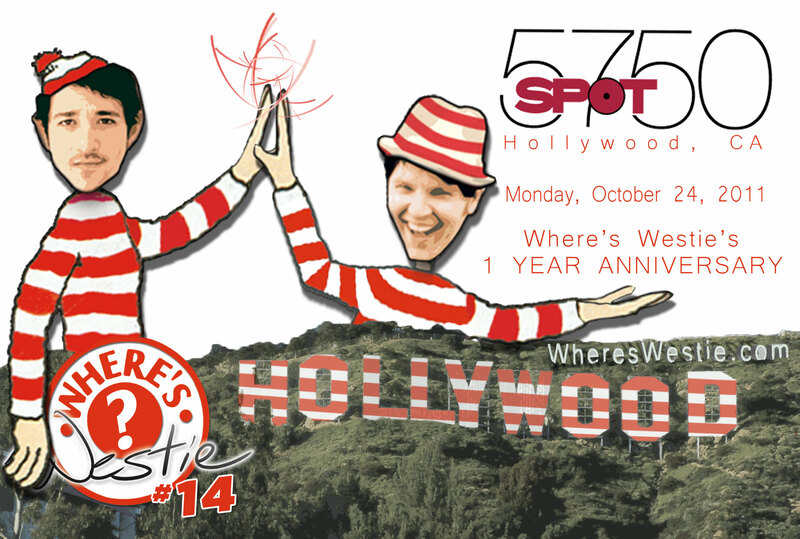 The official 1-year anniversary of Where’s Westie! The dance venue that’s always a good time to be had by all. Cover: $8 with VIP WW or OCWCSDC Card, $10 Without. Ages 21 and older. If you missed Spot5750 last time, it was AWESOME. Great drink specials (2 for 1? yeah), delicious food, tv’s, pool tables, dance floor, and dry ice steamin up the place! This is your opportunity to check out the SPOT before we pack up and move on! We better see you there, if you know what’s good for ya! Droid.